Flawless Social Media Services Just for You! Get relevant answers to all your social media related queries from the best SMO Agency in Dubai, UAE. Social media is the most powerful platform to express your thoughts and also to connect with people. 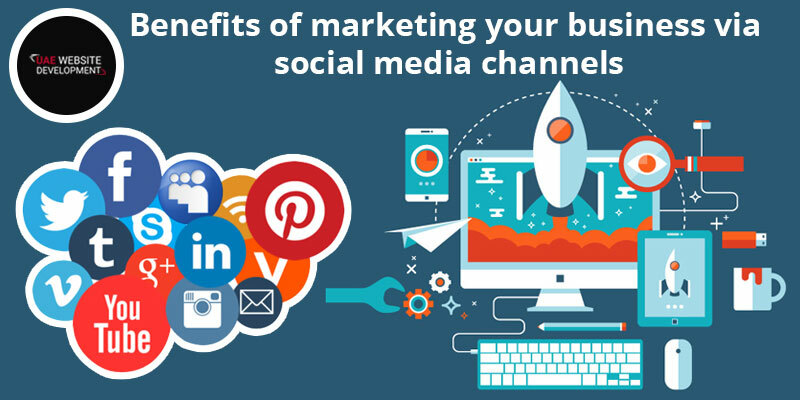 Business owners nowadays are capitalizing on these two main benefits of social media channels and promoting their business through those channels. Various social media channels are there such as Facebook, Twitter, Instagram etc. which offer efficient business promoting options. Businesses of all sizes such as small, medium or large are using these social media channels to advertise their products and services. They can reach their potential customers across the globe and increase their sales and in the long run, grow their business. Are you the owner of any medium-sized enterprise and planning to expand your business? Social media marketing is the best option for that. We have a team consisting of skilled experts who can guide you in this by offering affordable SMO services in Dubai. Connect with us via call, mail or chat to reach our experts and promote your business on the social media channels efficiently. We provide 24*7 service facility so that our customers can reach us irrespective of time and avail our services. Regular training and customer feedbacks help us to stay updated with the latest technological advancements and also to improve our service quality. If you are looking for affordable SMO services in Dubai, you should connect with our experienced professionals. You can call at our helpline number 042053349 to get in touch with our developers. They will provide you with class apart services at a cost-effective price. Additionally, you can drop an email or chat with us in real-time to reach us during busy working hours. We will guide you to promote your business through our effective social media marketing solutions. You can choose any one channel from Facebook, Pinterest, Linkedin, Twitter etc. as per your choice and start promoting your business. We are there to guide you thoroughly to choose the right option for you and market your business properly. Social Media Marketing is the work that takes place on social networks to bring visibility, business contacts, requests for quotes or purchases to your company or organization. It is a world of patience, skill, brilliance and cunning. Your posts and your company page are hidden by millions of other photos, videos and comments that are “fired” every day on the platforms: making them stand out is therefore complex and difficult, but certainly also fun! What is different from traditional marketing? In all! Social Media Marketing is fast, immediate, planned day by day (if not now for now!) And direct. Traditional marketing, on the other hand, is slow, planned year by year and more detached. Moreover, the target audience (your target) is qualified and well segmented in the social world, while in traditional marketing it is very rare to reach a good level of detail. I’ll give you an example, so as to be clearer. Your brand of jewelry, in traditional marketing, can create posters, advertising in newspapers and magazines, advertising on television or radio. The audience that you will reach, even meticulously selecting every single medium and channel, will always be in some way generalist, too vast, dispersive. With social media, you can instead direct your posts to those who love jewelry and is willing to buy on the internet. Provide a small coupon and rest assured that you will sell your earrings. Do you start to perceive the power of social networks? Which Social Media Marketing channels should you use? Nobody likes “depends” as an answer, but I have to tell you this way. Each social network, in fact, has its own specificity and its own public and only by understanding its characteristics in depth can you choose the most suitable means for your business. For example, Twitter is a very effective channel for technology enthusiasts, journalists and – in general – the band most people smart . Instead, Facebook is a slower medium, visited every day and on which it is appropriate to provide repeated messages. If Instagram is more generalist, Pinterest is instead used more by young women, lovers of fashion and design. SnapchatIt’s perfect for young kids, while LinkedIn for professionals. A complex and vast network of different social networks! What are the specifics of the most important channels? In giving you this answer, I can only start from Facebook , the most used social media in Italy: it is generalist, has a higher average age, active users spend from 2 to 3 hours on average per day. It is therefore a suitable means to receive repeated and deeply targeted advertising, also thanks to the big data on the interests and lifestyles that the company of Mark Zuckerberg has accumulated in more than ten years. Twitter is a microblog: you can enter messages up to 140 characters long. It is a social transformation that is completely changing its characteristics. At one time, it was used a lot for direct and instantaneousness. In the future, who knows! As I have already mentioned, Instagram and Pinterest are two social networks dedicated to the world of photography. The former has a lower average age and collects everyday shots, while the latter is more professional and adult. LinkedIn is a professional network with millions of potential business contacts to reach. It has higher costs than other means, but in certain businesses it is certainly the most suitable channel. I refer you to my article on how to find customers with LinkedIn to learn more about the specifics of the vehicle. How to create the perfect post? To achieve an effective message on social networks, you must first of all aim at the heart of your target audience . The Social Media Marketing is at least a good 90% composed of emotionality: only by hitting the feelings and the mood of your followers , it will be possible for you to push them to action. Study the characteristics of the medium, trends on social media and, above all, the main ways of interacting with your target. Instead, forget the technical rules and who tells you, for example, that using two hashtags is better than putting three. It’s all nonsense: the only posts that really work are those that affect and persuade your typical user. How to evaluate the performance of Social Media Marketing? Establish starting KPIs (Key Performance Indicators), the results you want to achieve with Social Media Marketing, and keep them constantly monitored. Clearly, these KPIs must be reachable, realistic and at the same time stimulating . For example, if your goal is to make brands, you could target “5,000 Facebook fans in the first six months”; if, instead, you are more oriented to generate business contacts on social networks, you could establish as “50 qualified leads on LinkedIn in a year”. If you notice after some time that the direction is not the correct one to reach the established indicators, correct the shot and modify in part (or substantially) your actions on the chosen channels. Most of the social networks that I have described to you have simple and intuitive monitoring tools, where you can keep track of statistics, data and trends every day. Are there any paid strategies to increase social performance? Of course, and if their use is not necessarily mandatory to conduct a Social Media Marketing strategy, they are very often used by companies, especially at an early stage. Facebook Advertising is the platform that works both on Facebook and on Instagram. Twitter and LinkedIn have their own proprietary tools at their disposal. YouTube and Google Plus work with Google AdWords , the advertising platform of Google. How do advertising on social media work? Basically, realize your post and this is shown not only to users who follow your page or your company profile, but to the qualified users that you decide to reach. With Social Media Marketing, you can reach very segmented and detailed user segments . To give an example: “users from Brianza who love pizza, football and who are tweeting on the Champions League final”. Perhaps, during the interval, these people might want a good take away pizza, to enjoy the second half with a full stomach. A smart and cutting-edge pizzeria could take this opportunity. Strong, is not it? Most of these tools work at CPM (cost per thousand views), but in some cases the payment strategy is similar to Google’s and is based on cost per click (CPC): you only pay when users click or interact with your content. Is it possible to get good results even without paid strategies? I’d like to say yes, but I’d probably tell you a little lie. Mind you: there are excellent exceptions that can get huge results with a good editorial plan, a cultivation of the fan base (users who follow the page every day) and original and engaging content. These companies have managed to hit their reference users with emotional posts and great professionalism, providing them with value and increasing brand reputation over time. If your goal, however, is to get business contacts or sell on the internet thanks to social media, without any doubt you have to budget a good slice of budget dedicated to social advertising . The algorithms of Facebook and members, in fact, penalize more and more the company pages, pushing them to promote their posts. Nothing bad: after all, advertising on social media costs much less than traditional and can lead to significant results! Social media marketing and web marketing: how do they integrate? Social media hand Social Media Marketing is a subset of the world of web marketing and integrates with its other means in different ways. For example, the editorial plan of a corporate blog can be shared with that of social media, creating integrated communication. At the same time, this can happen with DEM, newsletters and advertisements on Google. Moreover, an important factor in Search Engine Optimization (SEO), the activity of positioning on search engines, is precisely the social activity: this means that doing Social Media Marketing also brings benefits in terms of SEO , especially in media such as Google Plus and Pinterest. So always place your social buttons on your website and “talk” to each other all the means you use!